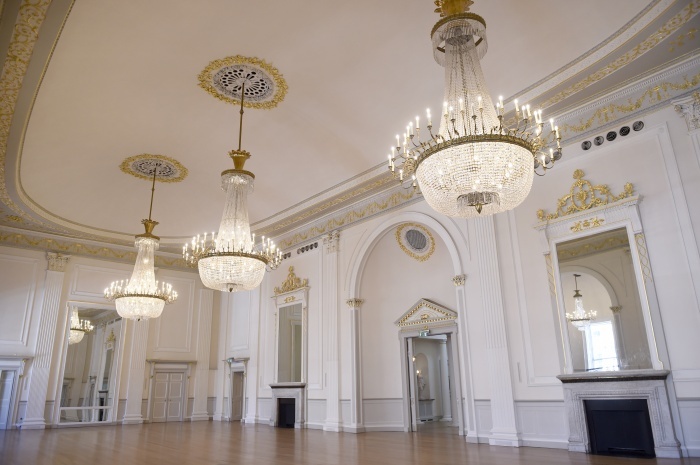 There’s definitely a fine art to modernising a beautiful building, whilst retaining its character and charm and it’s something the Assembly Rooms on Edinburgh’s George Street have pulled off with amazing style. The varying tones of cream used throughout the entire building are subtly used to highlight the original features, at the same time as disguising the modern AV facilities that are so often needed for large-scale events. The Music Hall is one of the most adaptable spaces at the Assembly Rooms with a flexible stage that can be altered in height, width and depth to accommodate anything from traditional staging, theatre in the round and catwalks. The stage can transform in size and shape then the seating and AV facilities have to as well, and they do. The Under-Balcony, accessed from the entrance to the Music Hall, is ideal for event registration or a bar area, whilst the four smaller rooms adjacent to the Music Hall are ideal as dressing rooms or break out rooms. At a recent event in the magnificent Ballroom I was impressed with how the blank canvass of the towering walls were so easily and effectively washed with colour to create a backdrop. The room is hung with glittering chandeliers, which appear to be reflected to infinity in the vast mirrors at either end and a small stage is ideally placed in the archway of one wall. The East and West Drawing Rooms can be reached through the Ballroom or their own separate entrances, making them ideal areas to use in conjunction with the Ballroom as a bar area or similar, but are equally impressive in their own right. Each has a chandelier dripping with crystal hung to the side of its central glass dome and a central fireplace as a focal for parties or dinners for up to 50 guests. The Assembly Rooms also has the choice of the Oval Room and West Balcony Suite on its second floor for more intimate meetings, lunches, dinners and receptions. Music Hall: LED lighting rig, 18 roof hoists with variable load capacity, bespoke lighting, sound and AV control, K-array PA system. Ball Room: mobile production lighting and LED uplighters, K-array PA system with mobile rack, central stage. 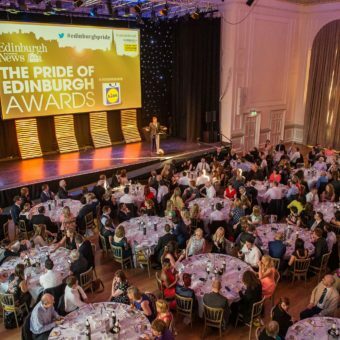 The staff at the Assembly Rooms are efficient and helpful and are happy to add those all important extras, such as logos beamed onto the pavement outside the venue, at no extra cost.